Poinsettias make bright, festive decorations during the dark winter months. Though you may love to decorate your home with live poinsettia plants, you can craft these colorful plants out of frosted text weight paper and crepe paper to look just like the real thing. In my video tutorial today, you’ll learn how to decorate with paper poinsettias and how to create beautiful arrangements for the holidays. 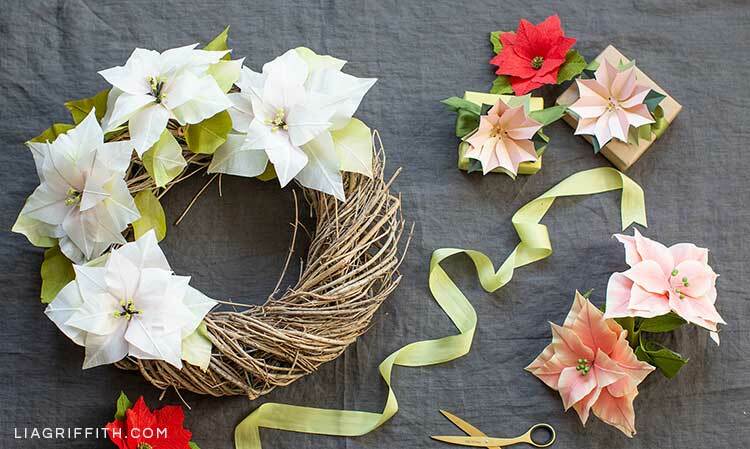 You’ll also learn how to make a gorgeous white paper poinsettia wreath. Stay tuned for Monday’s projects where we will have the full tutorial and template for the extra-fine white paper poinsettias I used to make this Christmas decoration. Did you know the poinsettia is not actually a flower but a plant that has colorful leaves? And did you ever wonder why poinsettias are associated with Christmas? Well, let me tell you! It all started with Joel Roberts Poinsett, the first U.S. ambassador to Mexico, who brought these plants back to the U.S. in the early 1800s. But they didn’t become popular until the 1900s—when Paul Ecke Jr. started marketing them by sending free poinsettia plants to TV studios across the country and making sure they got airtime during Christmas specials. There’s of course more to the story, but this is where the trend of the Christmas poinsettia began! Interesting, right? Ok, back to my video tutorial on how to decorate with paper poinsettias. I’ll show you how to create paper poinsettia arrangements with live greenery, add poinsettias to the tops of gifts, and how to make potted paper poinsettia plants. 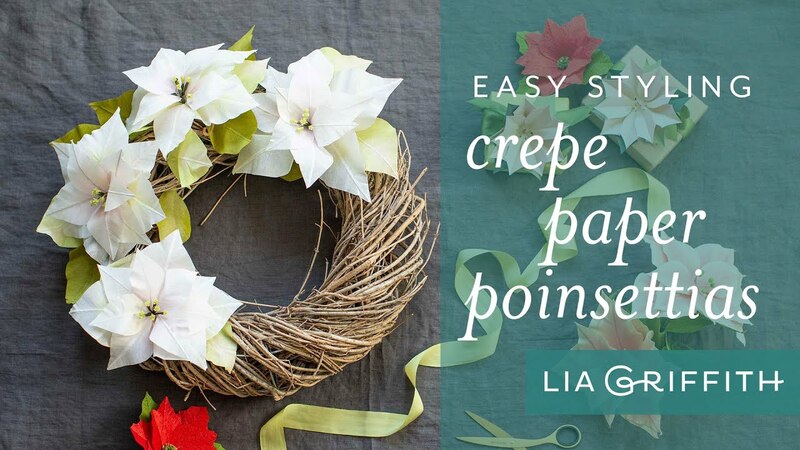 You’ll also learn how I arranged a gorgeous wreath using a grapevine form and my white crepe paper poinsettias, adding two colors of green leaves to finish the look. All of the projects shown in the video are linked below. 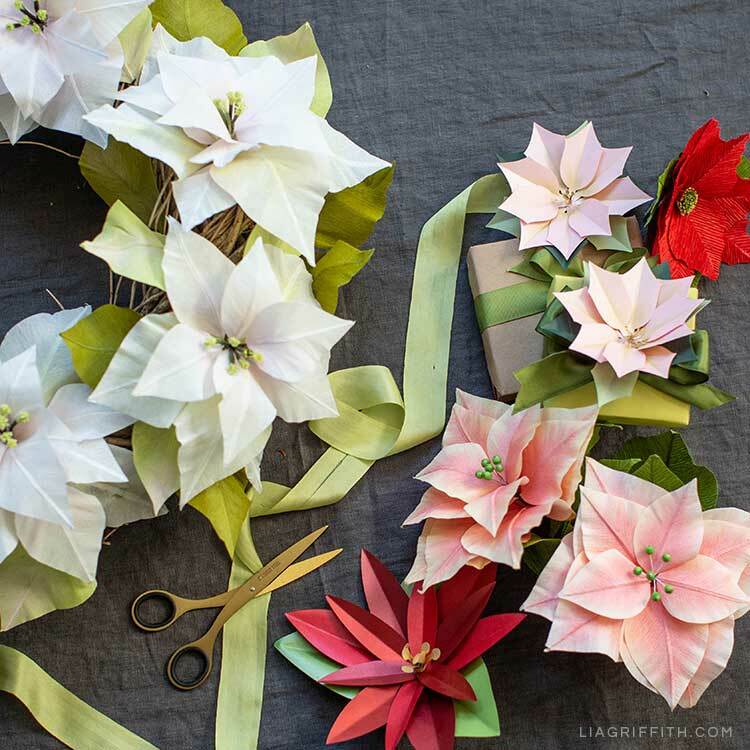 If you end up crafting any of these paper poinsettias, share them with us! You can post pictures on our Facebook page or post them on your Instagram and use the hashtag #MadeWithLia. 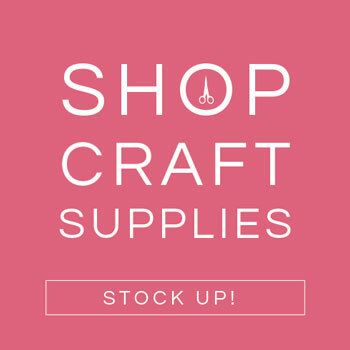 For daily DIY inspiration, follow us on Pinterest and Instagram. 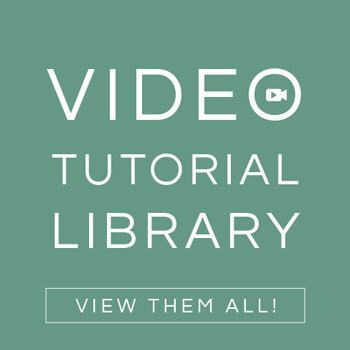 You can also browse our YouTube channel for more video tutorials on making paper flowers and paper plants. 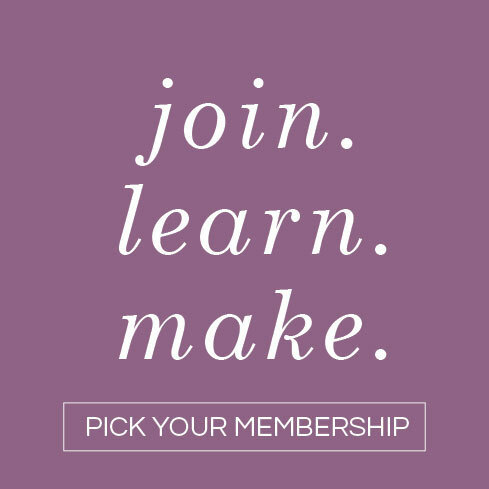 To download our DIY templates, SVG files, and photo tutorials, become a member of our crafting community!